So you're planning a winter wedding… You have everything set (including your dress or jumpsuit), but now you're trying to figure out which shoes to wear. As much as you wanted to wear those strappy sandals you've been envisioning since forever, the season's weather has other plans for you. Don't fret, though… Sure, wedding gowns look ethereal with dainty heeled sandals, but they also look great with boots. Yes, boots. Now, before you imagine an overly chunky pair and start getting worried. We've rounded up the best boots you can wear on your wedding day and even divided them by styles. 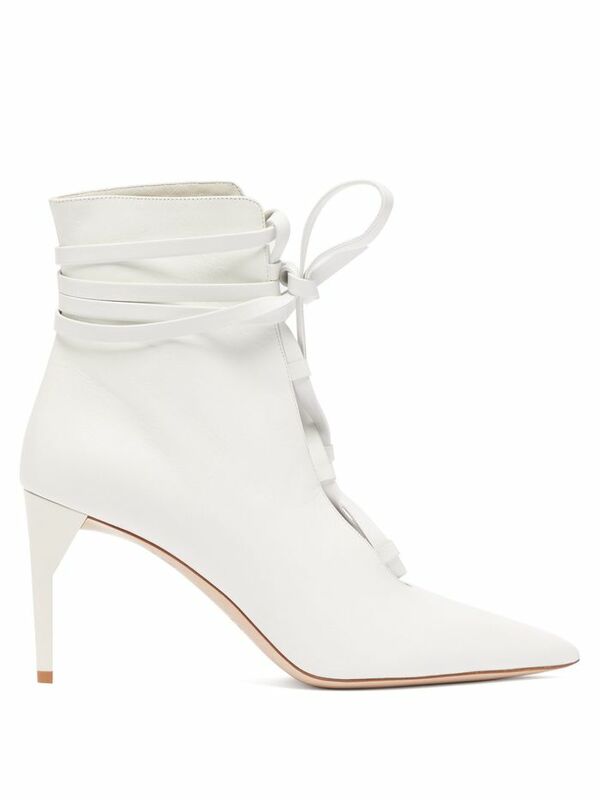 Scroll on ahead to find winter wedding boots that will make you forget you wanted to wear sandals. If there's a time to buy Miu Miu shoes, it should be for your wedding. Going for a vintage themed wedding? These are perfect. These lace-up booties will help you survive the first dance and all your other party moves. These may seem a bit hard to put on, but once they're on, you won't regret one second. We love how high these boots are. Wear these boots all through winter. These under-$200 boots will do the trick. Keep your white boots interesting. Say hello to heels that won't destroy your feet. Another under-$200 boot option worth every penny. Consider these an investment worth making. The buckle detail will add a nice touch to your wedding dress when it peeks through. These booties might be our favorite. Still trying to figure out which shoe style is the one for your dress? Here's how to choose the ones for you.